Eskom chairperson Jabu Mabuza says the operational side of Eskom requires “crisis reaction” as well as time and speed to fix the current load shedding situation. Eskom only has itself to blame for the lapse of a contract for early detection of maintenance failures, according to Eskom chief operations officer (COO) Jan Oberholzer. There are currently seven generating units which have broken down due to boiler tube leaks as Eskom struggles to maintain its ageing power fleet. Oberholzer said the contract for early detection of faults in the wide network of tubing inside boilers lapsed 18 months ago and had not yet been renewed. They are hoping to have a new tender in place by the end of the week. The political capturing of Eskom started in earnest in 2008 when the company started handing out tenders and contracts for its new build program which at that time was worth around R385bn over five years, writes James-Brent Styan.The Eskom crisis is the ANC's fault. And no, I'm not even referring to all the warnings over the years that the country would run out of electricity; warnings that were largely ignored. That was long ago. I'm talking about the current crisis. Let me explain with the facts. Gordhan says feedback is important, promises to have more information and answers within next 10 to 14 days. Says they’re determined not to go past stage 4 load shedding. We fully understanding of disruptions load shedding has caused. We are doing an appeal to South Africans to go back to helping to meet demand, which he says is direclty linked to undertaking maintenance. Gordhan says they’ll be talking to Auditor-General and Treasury to allow for faster procurement processes. "Will avoid risk of these processes becoming corrupt." CEO Phakamani Hadebe says they have bought between 20 million litres and 25 million litres of diesel (for emergency gas turbines). Have exhausted the supply. There’s no diesel in SA, except for cars and small utilities. Hadebe: 65% of coal was bought short term. Going back to long term contract. Eskom has set aside R50bn over the next five years for maintenance as ageing infrastructure is unable to keep up with electricity demand, according to the power utility’s CEO Phakamani Hadebe. Hadebe said Eskom had been using its maintenance spend previously on generation alone but will now also focus on transmission and distribution networks. He said there had been a decline in spend in maintenance in the last few years and the previous administration at Eskom had pushed the power system hard to keep the lights on. Mabuza: The board has asked me that without taking sides on debate, as it is a bit inappropriate and disingenuous in the IPPs (Independent Power Producers). The cost of energy, there's a R30bn provided for IPPs. As far Eskom is concerned, what we buy on IPPs, we recoup from the turf. IPPs are not the source of the problem. Gordhan: We are a recovering democratic government and loadshedding in the result of that. We'll get it right in the next year or two. Hadebe says they have set aside R50bn for maintenance in next five years. Not just for generation, will also spend on maintaining transmission and distribution networks. Mabuza admits they create “more questions” when they answer questions. Agrees with Minister Gordhan they could have communicated better. Promises to improve from today. Mabuza: It's important to know that there are still hardworking men and women at Eskom. It's only through them that we can do these things. Gordhan says there’s a push back(against exposure of corruption) so people don’t go to jail. Gordhan says state capture leaves clear patterns in many SOE’s. Moved money from maintenance to capital expenditure. “There’s still a lot of accountability to take place”. The media was taken through several slides showing the gap between Eskom’s installed capacity of 48 000 megawatts and average available supply of 28 000 megawatts. Seven generating units are currently out of the system due to boiler tube leaks.This is the single biggest cause of plant breakdowns. The power utility’s fleet is ageing and some of the power stations are 50 years old and the average is 37 years old. Spending of maintenance has decreased over time. Mabuza says he is unable to talk about what previous CEO has claimed, in answering media question. Mabuza says the maintenance spend should not have been on a downward trend as Eskom’s power fleet became increasingly old. "The rand has remained largely flat, trading in a tight range between R14.38 and R14.50, where it is expected to remain," Peregrine Treasury Solutions's Bianca Botes said. The last option is load shedding. Mabuza: The processes that are in government are not geared up for the speed that is required. Money intended for plant maintenance was never used for this purpose. "We don't have the time, we don't have the money"
Mabuza: You have not for the last 5 years done maintainance. This equipment has worn, has torn. There is no other answer but fixing it. Mabuza: I see Eskom in 2 streams: the routine stream, the process you need to follow to make things work. Then there is a crisis stream. That crisis would need a crisis reaction methodology. We need time, we need speed to get equipment and people. And you need money. "We do need time with the equipment." - Mabuza. "Structural, operational and financial - how Mabuza desribes Eskom power struggle. Boiler tube leaks are visible They need time to cool down in order to be fixed. Coal power plants of 40-50 years old still being used. - Shortage of around 10 000 MW daily. - Will have clarity on exact interventions and timeframe in two weeks. - Eskom/task team/government hoped to have stabilised grid by end of January, but new challenges emerged. - Main issue is lack of maintenance at power stations, not done properly for last decade, now breaking down. - Between Feb 2017 and Feb 2018 system tripped 300 times, between Feb 2018 and Feb 2019 it tripped 495 times. - Four options: (1) import electricity (2) burn diesel (spent R4,5 bn the last four months to keep turbines going) (3) build new power stations and (4) load shedding. - Problems structural, financial, operational. - Internal resistance against reform and restructuring process, state capture elements still prevalent. There is no magic formula to solve the current load shedding crisis and the Minister of Public Enterprises Pravin Gordhan is unable to say when the rotational blackouts will be over. 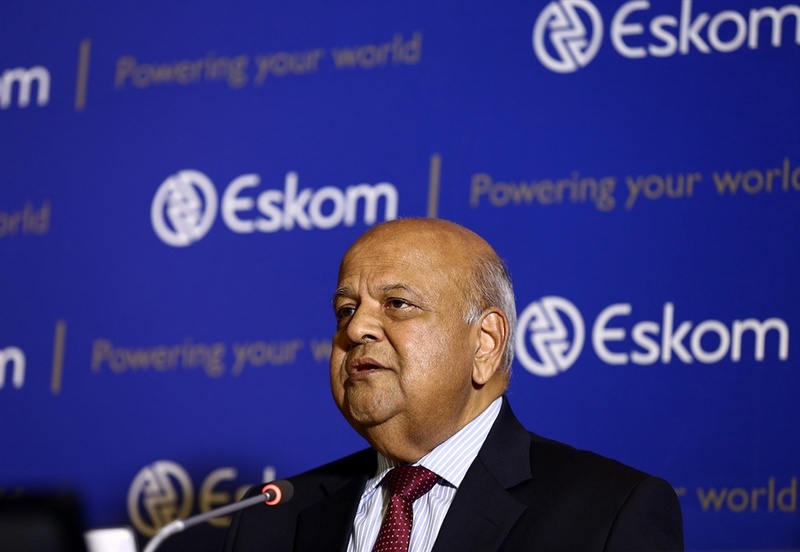 Gordhan was briefing the media on Tuesday, along with senior Eskom officials as the country entered its fifth consecutive day of Stage Two to Stage Four load shedding. “At this point in time, we are still getting a better grasp of the technical problems,” Gordhan said.